Ian is one of the top international golfers in the world; he is set to compete in a number of tournaments this year such as the Puerto Rico Open. He and Graeme McDowell would be part of this tournament as they have failed to have the desired scores and profile for WGC Match Play this year. Ian has a 199 ranking while Graeme is 82nd as per PGA ranks. Poulter was able to win the Match Play title in the year 2010 but has yet to make the right moves to move up further in the ranks. Poulter has had a top ten finish at Coco Beach in 2016. 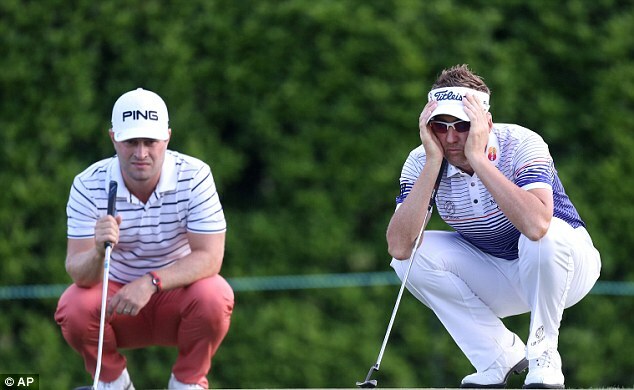 Poulter and McDowell are again back at Coco Beach though they would rather be part of other tournaments this time. The WGC Match Play is an event in Austin that is highly rated and sponsored by Dell Technologies. The top 64 players of the world would be participating in this event where the prize money amounts to £1.3million for the first position. On the other hand the Puerto Rico Open would have a first prize of £433,000 in comparison. Both star players are Ryder Cup champions in Europe, but they certainly wish they had qualified for the WGC event this year. The Match Play title was won by Poulter in 2010 and he missed out being part of the event last year by a small margin. He has sealed his last position in the top ten by finishing in the second position at the Puerto Rico Open which was held last year. As he slipped from 64th position to 67th in the international rankings he missed out on being qualified for the Match Play that was kept for the top 64 players in the world. Here’s hoping he can get to better his scores by the end of the year.